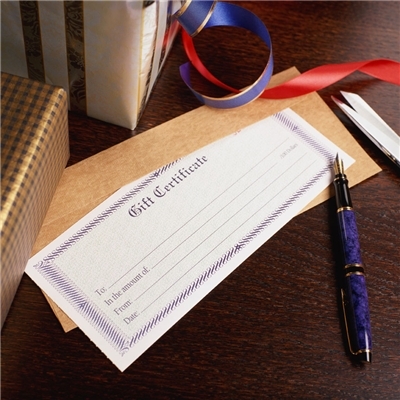 Give a gift such as a gift certificate to a pilot friend, co-worker, flight instructor, etc. and show your appreciation and friendship. Gift certificates are perfect for your aviation friends or relatives that are hard to shop for. Enter the value which you want to generate a gift certificate for and then click Add to Cart. Enter the amount you would like to have this gift certificate worth and then click Add-to-Cart. A gift certificate will then be created for you instantly at checkout in the amount entered. A gift code will be issued after your payment is processed. You can then e-mail this gift code or transfer the information to a gift card of your choosing. Nothing physical is shipped from this store or e-mailed to the recipient, it's up to you to deliver the gift as you choose. There are no expiration dates on gift certificates so they will be available at any time your recipient wishes to redeem the value. Unused portions of the gift certificate will be available for future purchases, it does not all have to be redeemed at once. When redeeming a gift certificate code simply choose the "Gift Certificate" option on the final checkout payment screen instead of "Credit Card" as the pay method.